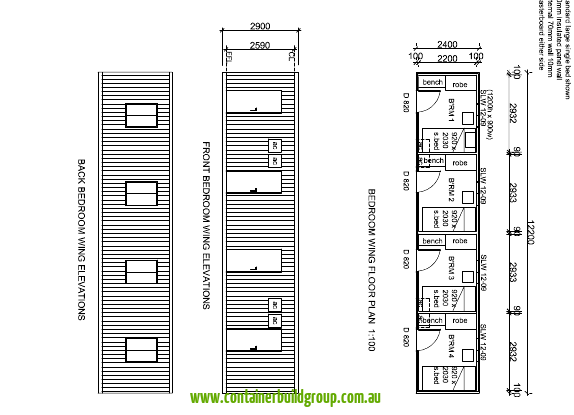 This model is a high cube 40FT container split into 4 private bedrooms. It is perfect for a remote campsite without sacrificing comfortable sleeping conditions or privacy. 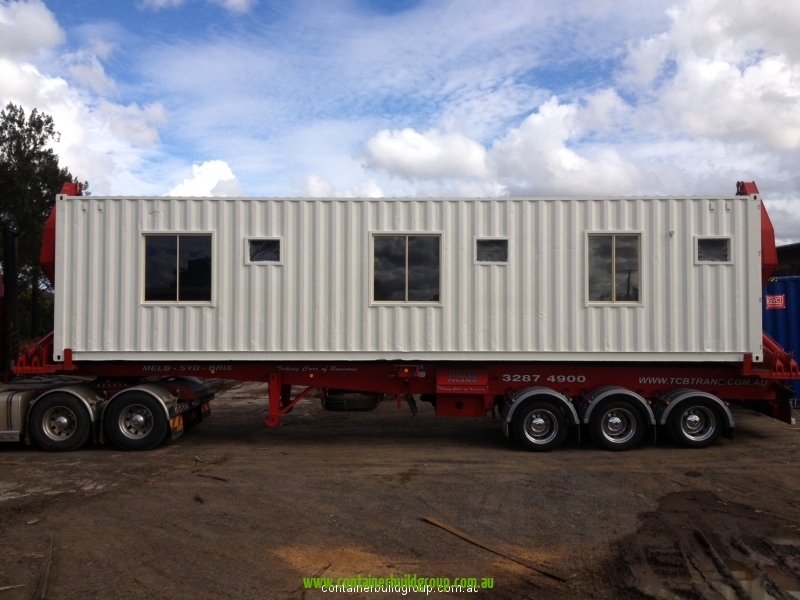 The cabin gives flexibility to each remote work site as more sleeping cabins can be added. 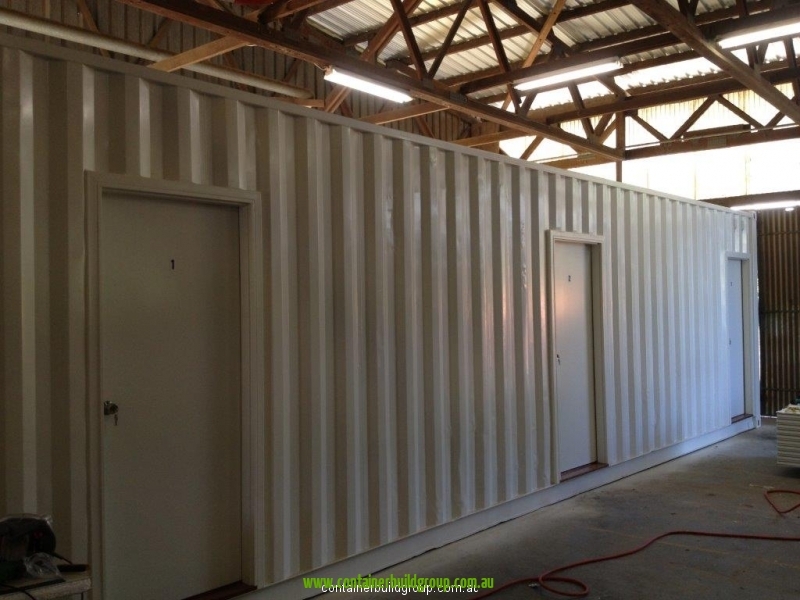 Container build group can also custom build container units like remote commercial kitchens, site offices, recreation rooms and ablution blocks, all built within shipping containers and delivered to the site as required. The standard campsite cabin has four separate access bedrooms, each with enough space to fit a single bed or a bunk bed, a sitting bench and small wardrobe. 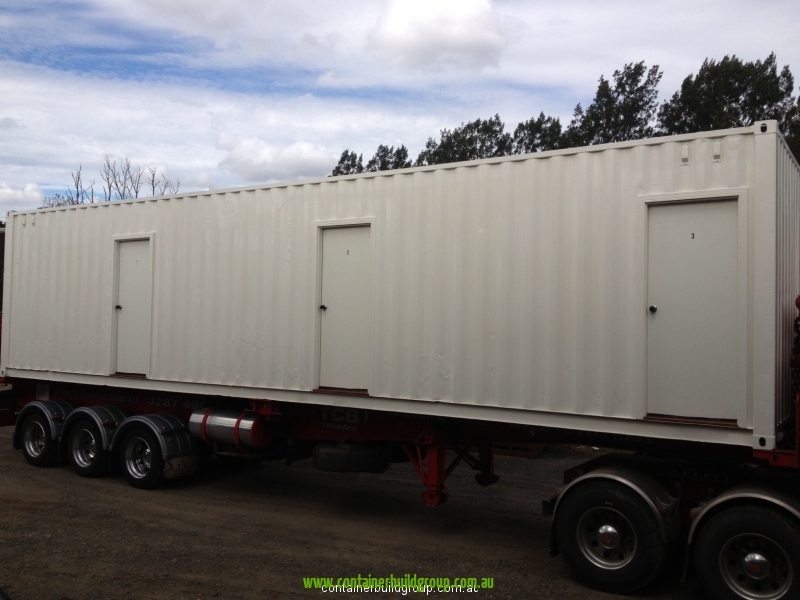 The container cabin is fully insulated and each separate bedroom comes with one large sliding window with aluminium frame and door. The dimensions of each room are 2.2m x 2.9m with the total length of the remote campsite cabin being 12.2m long and 2.4 meters wide, approximately 30 square meters. 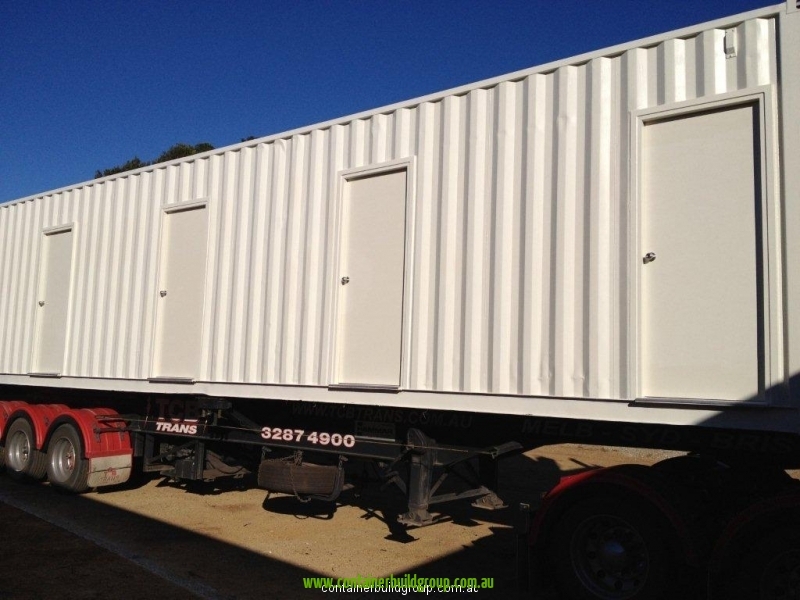 Because we custom make each container cabin in our Australian workshop we are able to design and build the cabins for your exact requirements. You can choose to have only one or two bedrooms and use the rest of the space for the bathroom, kitchen or lounge area. Our remote campsite cabins are secure and we offer upgrades for those remotes sites which are particularly prone to vandalism and theft. 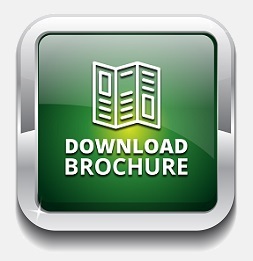 Apart from the standard locks, hinged steel safety screens can be installed on the windows, these can be opened when in use and locked closed when your team are away from site. Remote locations are almost impossible to access services so we have designed this cabin to simply run off a small generator or we can add a built in plug and go RPC off grid solar unit. 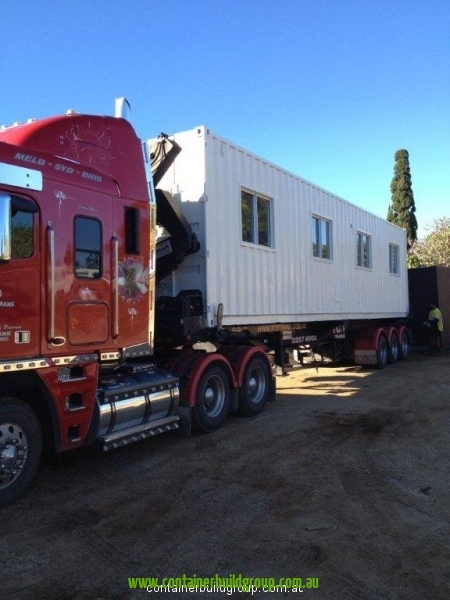 The shipping container cabins are built in our factory and are easily transported on a train or semi-truck and unloaded with a crane or suitable forklift. 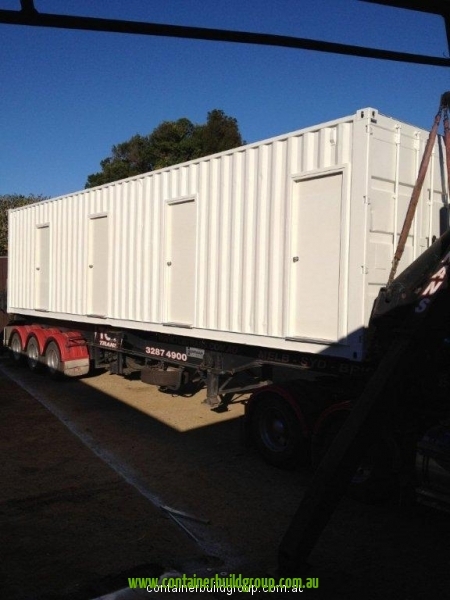 The cabins can be built in as little as 3 weeks and fitted onsite in a couple of hours.